Need a break from skiing and common winter activities? Take a breather with a winter fly fishing trip. Many people stop casting when the flakes start flying and turn their attention to winter-oriented sports. Truth is, fish don’t leave in the winter. Although catching them can be a little trickier and your fingers are bound to get cold, the winter months are often a great time to enjoy rivers that are over-fished and crowded in the warmer months. We picked out some of our favorite winter fishing destinations with the help of Cloud9 Living that offer prime fishing even in the dead of winter. 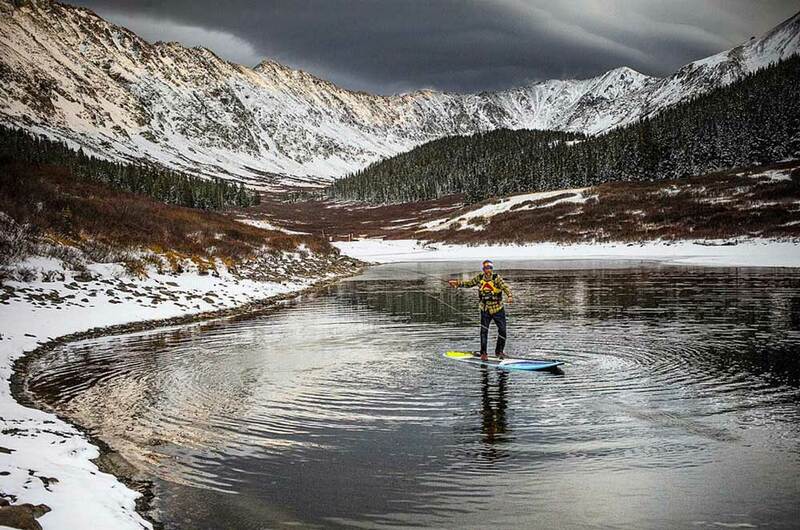 So ditch the skis for a weekend and grab that fly rod. The Provo and Weber rivers are known as prime summer fishing spots, but when the crowds take to the ski hills, it leaves these rivers virtually empty of people but still teaming with fish. Already planning a trip out to Park City for some skiing? Hook up with a guide service for the afternoon and exchange skis for a rod and reel. For a dose of heart-stopping steelhead fishing, the Oregon Coast is the place to be in the winter. The Lower Rogue River is home to Oregon’s premier coastal steelhead fishery. With as many as twenty to thirty thousand fish moving through the river during December and January, you’ll get first shot at the “fish of 1,000 casts” heading to the upper tributaries. A few other good coastal steelhead rivers include the Alsea, the Chetco, the Umpqua, and Siletz Rivers. The Skagit and Sauk Rivers flow to the coast from the Cascades. Steelhead are the main attraction here again. Fall brings in sea-run cutthroat but the winter is the perfect time to score big with native and hatchery steelhead. And, it’s an easy two-hour drive from Seattle. Believe it or not, the Youghiogheny River, just an hour south of Pittsburgh, has fantastic year-round fishing. Cold water from the Youghiogheny Reservoir Dam, located near the town of Confluence, helps support a good population of brook, brown, and rainbow trout, year around. Hook up with a good guide service, as this river can be tricky to fish. 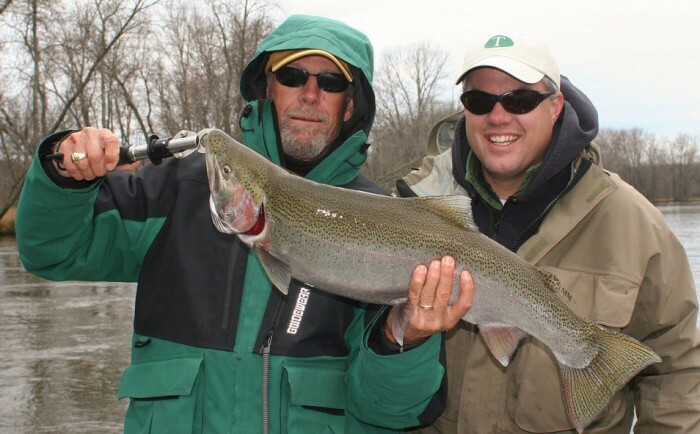 Steelhead fishing in tributaries of the Great Lakes can be epic in the winter, and for many anglers, Michigan represents the pinnacle of steelhead fishing. Even in the frigid water of winter, Steelhead strike voraciously, make bullish runs, and leap like tarpon. The Muskegon, Manistee, and Pere Marquette rivers are some of the best known, but there are dozens of good fisheries across Michigan, the Upper Peninsula (and Northern Minnesota and Wisconsin, too). In the Bitterroot Range, the Bitterroot River is home to great winter fishing. The key is to think warmth. The warmer the water, the more likely fish will strike your nymph. Fish spots of the river that get as much sunlight as possible. Tailwaters directly below dams are another great spot to find fish. The water stays relatively warm, concentrating fish. Looking to escape the cold? San Antonio is home to a number of lakes and reservoirs that have been abundantly stocked with largemouth bass, striped bass, and catfish. Improve your changes by hiring a guide service that will gain you access to the area’s private lakes. 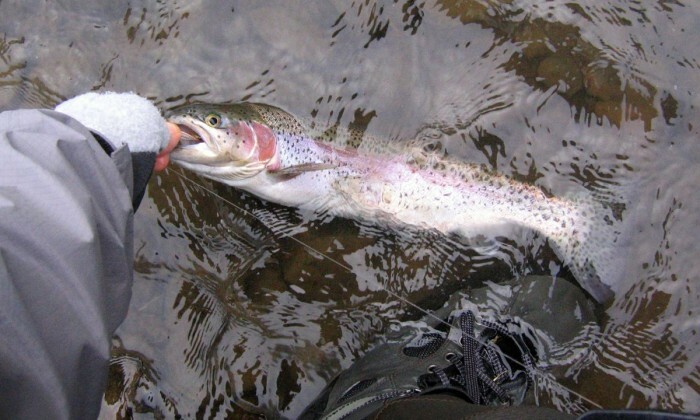 The rivers of the Kenai Peninsula are home to some of the best rainbow trout fishing in the world. Combined with the rugged beauty that only Alaska can deliver, the Kenai and Chugach backcountry is a one stop shop for winter fishing so long as you can handle short hours of daylight and cold fingers. With Alyeska right down the road, this is another great destination to commingle fishing and incredible skiing. 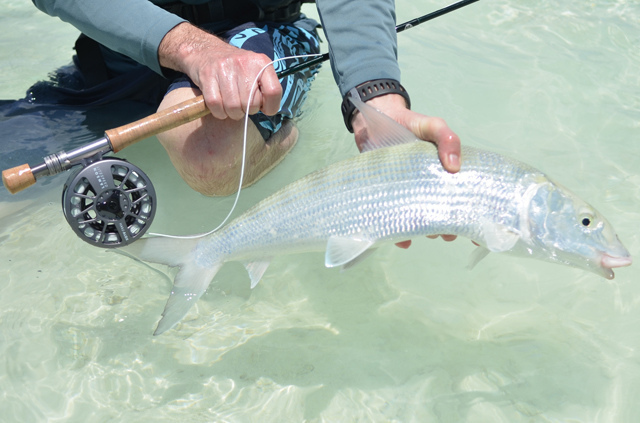 Bonefish are among the best saltwater fighters and a prized target for anglers tossing a fly. Lightening fast, the bonefish hang in shallow waters around the Keys and Everglades. If you’re looking to step away from the stream and try something different, bonefishing is a thrill you won’t soon forget. British Columbia’s lower mainland is home to some of the province’s finest winter-run steelhead fishing. Within two hours of Vancouver, there are a multitude of Fraser River tributaries, such as the Vedder River, that see healthy returns of steelhead every winter. The run starts in early January and can last until late May, bringing in monstrous steelhead from the Pacific. Plus, the scenery is mind blowing! In the Ozarks, the White River is home to great bass and trout fishing. Drift boat fly fishing has taken off on the river and opened up a return to the original style of quiet drift fishing on the White. The river is stocked year-round and great fishing can be found near Bull Shoals and the Norfork Tailwaters. Alpine streams that are flush with fish in the summer months retain their stock during the colder season. As long as they’re not iced over, wade in and throw out a line. The South Platte River has several tailwaters that hold prime winter fishing, and the Colorado River and Blue Rivers can be excellent in the winter. The Frying Pan River near Carbondale sees less pressure in the winter and offers an opportunity to land a hog. There are many guide services available that will improve your chances at landing a wintertime monster. Jackson Hole’s prime fishing extends into the winter months on the region’s rivers. 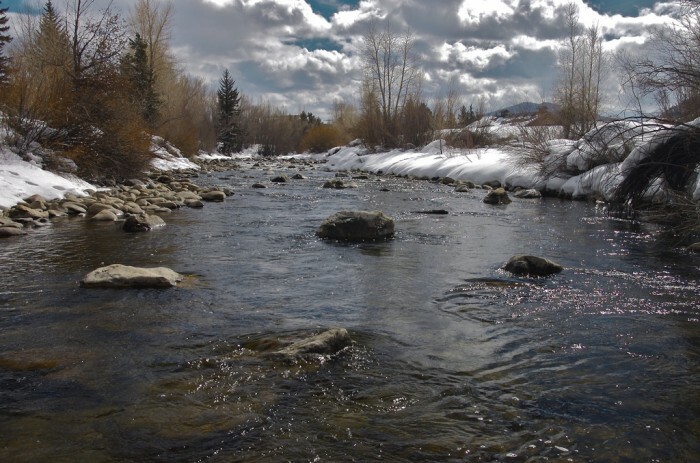 The Snake, South Fork, and Henry’s Fork are all open to winter fishing, although each fishery has its own regulations, so pay careful attention. Winter anglers can target lake trout on the Snake River below Jackson Lake Dam in Grand Teton Park. Fishing in the shadow of The Grand? Yeah, we’re ok with that.